So far, I believed to be the only man on Earth to trust a complete absence of mass terms in the Standar Model (we call this conformal symmetry). I was wrong. Krzysztof Meissner and Hermann Nicolai anticipated this idea. Indeed, in a model where mass is generally banned, there is no reason to believe that also the field that is the source of mass should keep a mass term (imaginary or real). We have one more reason to believe in such a scenario and it is the hierarchy problem as the quadratic term in the Higgs field just produces that awkward dependence on the square of the cut-off, the reason why people immediately thought that something else must be in that sector of the model. Meissner and Nicolai obtained their paper published on Physics Letters B and can be found here. As they point out in the article, the problem is to get a meaningful mass for the Higgs field, provided one leaves the self-coupling to be small. I do not agree at all with the reasons for this, the Landau pole, as I have already widely said in this blog. One cannot built general results starting from perturbation theory. But assuming that this is indeed the case, the only mechanism at our disposal to get a mass is the Coleman-Weinberg mechanism. In this case, radiative corrections produce an effective potential that has a non-trivial minimum. The problem again is that this is obtained using small perturbation theory and so, the mass one gets is too small to be physically meaningful. The authors circumvent the problem adding a further scalar field. In this case the model appears to be consistent and all is properly working. What I would like to emphasize is that, if one assumes conformal symmetry to hold for the Standard Model, a single Higgs is not enough. So, I like this paper a lot and I will explain the reasons in a moment. I am convinced that these authors are on the right track. Two days ago these authors come out with another paper (see here). They claim that the second Higgs has been already seen at CDF (Tevatron), at about 325 GeV, while we know there is just a hint (possibly a fluke) from CMS and nothing from ATLAS for that mass. Of course, there is always the possibility that this resonance escaped due to its really small width. The theory must be supersymmetric. The theory has a harmonic oscillator spectrum for a free particle given by , being an elliptic integral and an integration constant with the dimension of energy. Now, let us look at the last point. One can prove that the decays for the higher excited states are increasingly difficult to observe as their decay constants become exponentially smaller with (see here, eq. 11). But, if the observed Higgs boson has a mass of about 125 GeV, one has and the next excitation is at about 375 GeV, very near the one postulated by Meissner and Nicolai and also near to the bump seen at CDF. This would be an exciting evidence of existence for supersymmetry: The particle seen at CERN would be supersymmetric! So, what I am saying here is that a conformal Standard Model, not only solves the hierarchy problem, but it is also compelling for the existence of supersymmetry. I think it would be worthy further studies. 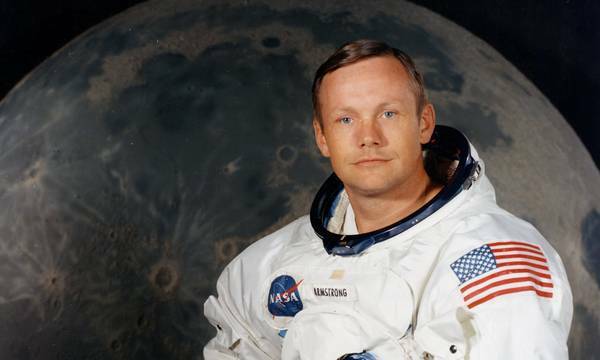 Neil Armstrong passed away yesterday (see here and here). He was the first man to put his feet on the Moon. He started all my dreams when I was just nine and that July’s night I was staring at his extraordinary enterprise together with Buzz Aldrin (see here) and Michael Collins on the Apollo 11. Now, I am moved to tears by this but my dreams are still there and his legend will always survive. Thank you very much, Neil! Gerard ‘t Hooft is one of greatest living physicists, one of the main contributors to the Standard Model. He has been awarded the Nobel prize in physics on 1999. I have had the opportunity to meet him in Piombino (Italy) at a conference on 2006 where he was there to talk about his view on foundations of quantum mechanics. He is trying to understand the layer behind quantum mechanics and this question has been a source of discussions here where he tried to find a fair audience to defend his view. Physics StackExchange, differently from MathOverflow for mathematicians, has not reached the critical mass with most of the community, Fields medalists included for the latter, where the stars of the physics community take time to contribute. The reason is in the different approaches of these communities that can make a hard life for a Nobel winner while mathematicians’ approach appears polite and often very helpful. This can also be seen with the recent passing away of the great mathematician William Thurston (see here). ‘t Hooft’s thesis received an answer from Peter Shor that is one of the masters of quantum computation. What makes interesting the matter is that two authoritative persons discussed about foundations. Shor made clear, as you can read, that, out of three possibilities, a failure of quantum computation could give strong support to ‘t Hooft’s view and this is the case ‘t Hooft chose. Today, there is no large scale quantum computer notwithstanding large efforts by research and industry. Large scale quantum computers is what we need to turn this idea into a meaningful device. The main reason is that, as you enlarge your device, environment driven decoherence changes this into a classical system losing its computational capabilities. But, in principle, there is nothing else to prevent a large scale quantum computer from working. So, if you are so able to remove external disturbances, your toy will be turned into a powerful computational machine. People working on this research area rely heavily on the idea that, in principle, there is nothing from preventing a quantum device to become a large scale computing device. ‘t Hooft contends that this is not true and that, at some stage, a classical computer will always outperform the quantum computer. Today, this has not been contradicted from experiment as we have not a large scale quantum computer yet. and how does your interpretation of this theorem permit the existence of (say) superconductors in large condensed matter systems? How about four-dimensional self-correcting topological memory? This is a refrain you will always hear as, when some mathematical theorems seem to contradict someone pet theory, immediately theoretical physicists become skeptical about mathematics. Of course, as everybody can see, most of the many body quantum systems turn into classical systems and this is a lesson we learn from decoherence but few many-body systems do not. So, rather to think that these are peculiar we prefer to think that a mathematical theorem is attacking our pet theory and, rather to do some minimal effort to understand, one attacks with standard arguments as this can change a mathematical truth into some false statement that does not apply to our case. There are a couple of mathematical theorems that support the view that increasing the number of elements into a quantum system makes it unstable and this turns into a classical system. The first is here and the second is this. These theorems are about quantum mechanics, the authors use laws of quantum mechanics consistently and are very well-known, if not famous, mathematical physicists. The consequences of these theorems are that, increasing the numbers of components of a quantum system, in almost all cases, the system will turn into a classical system making this a principle to impede for a general working of a large scale quantum computer. These theorems strongly support ‘t Hooft’s idea. Apparently, they clash with the urban legend about superconductors and all that. Of course, this is not true and the Shor’s fears can be easily driven away (even if I was punished for this). What makes a system unstable with respect to the number of components can make it, in some cases, unstable with respect to quantum perturbations that could be amplified to a macroscopic level. So, these theorems are just saying that in almost all cases a system will be turned into a classical one but there exists an non-empty set, providing a class of macroscopic quantum systems, that can usefully contain a quantum computer. This set is not large as one could hope but there is no reason to despair whatsoever. Laws of physics are just conceived to generate a classical world. 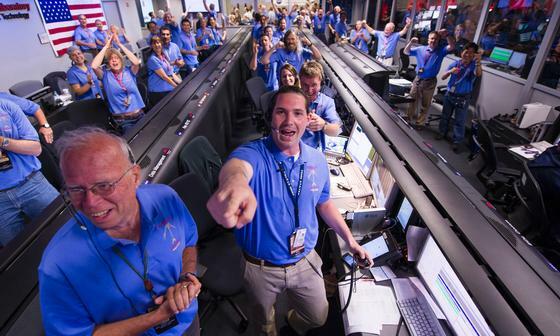 I was excited this morning while I was looking at the last minutes of flight of Curiosity there at JPL. This remembered when I was nine and, with my father, I looked at man on the moon. This time I was with my sons and we shared happiness with all the people that worked hard for another great success. Keep up this great job! At a first cursory look there is no other information than the one given publicly by the groups. It is yet the “boring” Higgs at one sigma. You are currently browsing the The Gauge Connection blog archives for August, 2012.